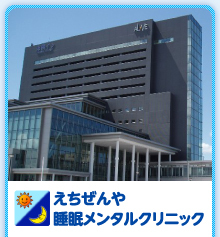 Takeshima M, Shimizu T, Echizenya M, Ishikawa H, Kanbayashi T: Inpatient phase-advance therapy for delayed sleep–wake phase disorder: a retrospective study. Nature and Science of Sleep, 2018; 10: 327–333. Inomata Y, Echizenya M, Takeshima M, Shimizu K, Shimizu T: Validity and reliability of the Japanese version of the Morningness-Eveningness Questionnaire evaluated from actigraphy. Sleep and Biological Rhythms, 2014; 12: 289-296. Takeshima M, Echizenya M, Inomata Y, Shimizu T: Scurvy in an alcohol-dependent patient with a severely unbalanced diet. Psychiatry and Clinical Neurosciences, 2014; 68: 242-243. Takeshima M, Echizenya M, Inomata Y, Shimizu K, Shimizu T: Comparison of sleep estimation using wrist actigraphy and waist actigraphy in healthy young adults. Sleep and Biological Rhythms, 2014; 12: 62-68. Echizenya M, Suda H, Takeshima M, Inomata Y, Shimizu T: Total sleep deprivation followed by sleep phase advance and bright light therapy in drug-resistant mood disorders. Journal of Affective Disorders, 2013; 144: 28-33. Hida A, Kitamura S, Enomoto M, Nozaki K, Moriguchi Y, Echizenya M, Kusanagi H, Mishima K: Individual traits and environmental factors influencing sleep timing: a study of 225 Japanese couples. Chronobiology International, 2012; 29: 220-226. 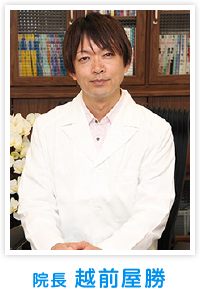 Iwaki S, Sato K, Matsumoto Y, Echizenya M, Kato T, Kusanagi H, Kitamura S, Shimizu T, Mishima K: Treatment-resistant residual insomnia in patients with recurrent major depressive episodes. Sleep and Biological Rhythms, 2012; 10: 202-211. Hojo Y, Echizenya M, Ohkubo T, Shimizu T: Drug interaction between St John’s wort and zolpidem in healthy subjects. Journal of Clinical Pharmacy and Therapeutics, 2011; 36: 711-715. Narita E, Echizenya M, Takeshima M, Inomata Y, Shimizu T: Core body temperature rhythms in circadian rhythm sleep disorder, irregular sleep-wake type. Psychiatry and Clinical Neurosciences, 2011; 65: 679-680. Echizenya M, Iwaki S, Suda H, Shimizu T: Paradoxical reactions to hypnotic agents in adolescents with free-running disorder. Psychiatry and Clinical Neurosciences, 2009; 63: 428. Hida A, Kusanagi H, Satoh K, Kato T, Matsumoto Y, Echizenya M, Shimizu T, Higuchi S, Mishima K: Expression profiles of PERIOD1, 2, and 3 in peripheral blood mononuclear cells from older subjects. Life Sciences, 2009; 84: 33-37. Kusanagi H, Hida A, Satoh K, Echizenya M, Shimizu T, Pendergast J.S., Yamazaki S, Mishima K: Expression profiles of 10 circadian clock genes in human peripheral blood mononuclear cells. Neuroscience Research, 2008; 61: 136-142. Echizenya M, Mishima K, Satoh K, Kusanagi H, Ohkubo T, Shimizu T: Dissociation between objective psychomotor impairment and subjective sleepiness after diazepam administration in the aged people. Human psychopharmacology Clinical and Experimental, 2007; 22: 365-72. Echizenya M, Mishima K, Satoh K, Kusanagi H, Sekine A, Ohkubo T, Shimizu T, Hishikawa Y: Enhanced heat loss and age-related hypersensitivity to diazepam. Journal of Clinical Psychopharmacology, 2004; 24: 639-46. Kusanagi H, Mishima K, Satoh K, Echizenya M, Kato T, Shimizu T: Similar profiles in human period1 gene expression in peripheral mononuclear and polymorphonuclear cells. Neuroscience Letters, 2004; 365: 124-7. Katoh T, Echizenya M, Maruyama F, Satoh K, Sekine A, Shimizu T, Mishima K: Diazepam-induced sedative effects follow the pattern of enhanced heat loss in human. Sleep and Biological Rhythms, 2004; 2: 220-225. Echizenya M, Mishima K, Satoh K, Kusanagi H, Sekine A, Ohkubo T, Shimizu T, Hishikawa Y: Heat loss, sleepiness, and impaired performance after diazepam administration in humans. Neuropsychopharmacology, 2003; 28: 1198-206. Tozawa T, Mishima K, Satoh K, Echizenya M, Shimizu T, Hishikawa Y: Stability of sleep timing against the melatonin secretion rhythm with advancing age: clinical implications. Journal of Clinical Endocrinology and Metabolism, 2003; 88: 4689-4695. Copyright © 2014 えちぜんや睡眠メンタルクリニック All Rights Reserved.